America, hell, the entire world wants to know if The Hunger Games: Catching Fire, the global sensation, is a movie that will validate all of our hard work reading Suzanne Collins’ trilogy of novels. Is the movie worth the wait? Is The Hunger Games: Catching Fire earth-shattering, or at the end of the day, is it just another trumped-up motion picture that will appeal to a few pinheads and leave those of us left with common sense scratching our heads in bemusement? The answer is not so clear-cut as one might imagine. In fact, the answer to this question depends on who one asks. The Hunger Games: Catching Fire is on its own, non-comparatively, a movie that is exciting and emotionally-stirring. Comparatively speaking, it is nowhere near as entertaining as its predecessor and despite the avalanche of talent brought in to establish the gravitas of the whole Hunger Games premise, the movie feels like a thirteen year old girl’s dystopian wannabe dream-come-true. The Hunger Games: Catching Fire is not a movie for serious adults that understand politics or global affairs, or quite frankly anything about the world whatsoever. Therein lies the rub. Ask a teenager how much they enjoyed the movie and aside from the minority contingent that will grumble about the differences between the novel and the movie, the vast majority will tell you how it changed their lives. Pose this very same question to someone that has watched multiple epic trilogies and they will likely be able to fess up about this movie being more of a clunker than a jewel. 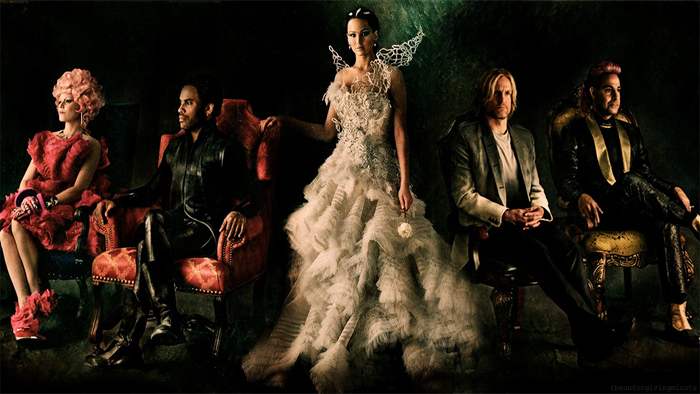 The Hunger Games: Catching Fire is about teenagers that take themselves too seriously. They are pitted against rich megalomaniacs and against unseen authority figures that rule by force and by executive fiat. There is nothing that riles the teenage mind quite so much as feeling as though they are always right and their elders are old, mean-spirited fuddy-duddies. Granted, the action (once it begins) is absolutely thrilling and can make even the harshest critic drool in anticipation. However, the cheesy storyline buildup for nearly one hour is not for older, more sophisticated audiences. It is far too-contrived and in all honesty, we have seen this song and dance before. Fast forward to the Hunger Games and spare us the new age adolescent pretension that they are all geniuses at their age. 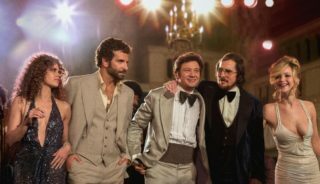 Meanwhile, the editor of Screen Spotlight believes that the actors, in particular Liam Hemsworth (Gale), Sam Claflin (Finnick Odair), Josh Hutcherson (Peeta Mellark), Stanley Tucci (Caesar Flickerman), and of course, Jennifer Lawrence (Katniss Everdeen) click together like keystrokes from Stephen King’s typewriter. In her expert assessment, the director (Francis Lawrence) did not engineer a coup and thereby betray Collins’ novel. Instead, his film dovetailed with the author’s words. Clearly, as indicated by the $160+ million Box Office payday, The Hunger Games: Catching Fire hit on all cylinders and the audiences of the world ate it up like candy. Ladies and gentlemen, this is why most of us have bosses; to keep our out-of-touch foolishness at bay. Oh well, differences of assessment abound.